Wow, I hope you can recreate that mix. Great find. with light, blue and yellow makes white, so maybe your mix is just enough more ultramarine was enough to get the greyish tint… it’s certainly an interesting mix though! i wouldn’t have guessed it! 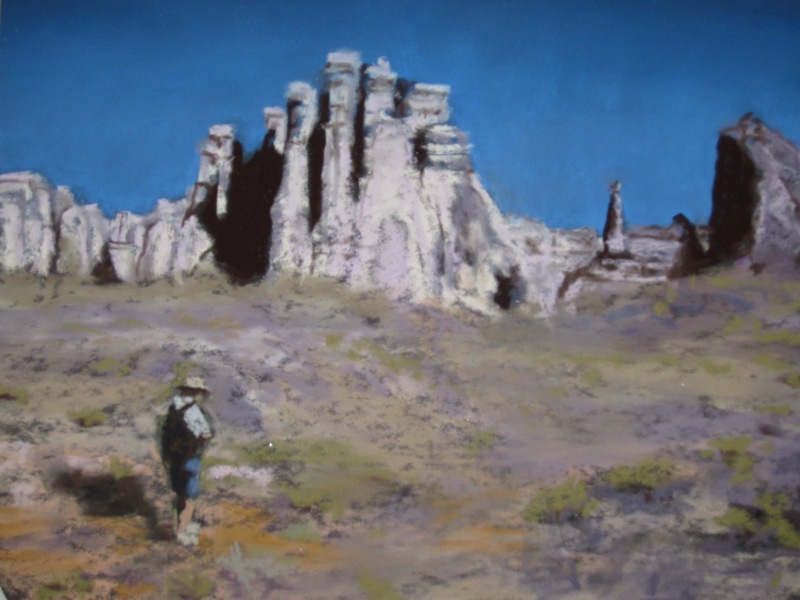 Two summers ago I was able to hike through Plaza Blanca and the sky was ever bit as blue as it is depicted in this painting. It is a beautiful place and devoid of color. This painting makes me remember the wonderful day I had there.